WASHINGTON — Space Systems Loral announced April 12 that it has completed an agreement with the Defense Advanced Research Projects Agency for a satellite servicing program that triggered a lawsuit from another company. The announcement of the agreement for the Robotic Servicing of Geosynchronous Satellites (RSGS) program came a day after DARPA filed a motion in federal court to dismiss a February lawsuit filed by Orbital ATK about the award to SSL. The agreement confirms the scope of work of the RSGS program, where SSL will provide a satellite bus and DARPA the servicing payload. That spacecraft will then be launched to demonstrate a range of servicing technologies, including inspection, refueling and repair of satellites. After those tests, SSL will be able to use the spacecraft for commercial and government customers. Oldham said it would take about three and a half years to develop the RSGS satellite, with a launch in 2021. “It’s full steam ahead as far as we’re concerned,” he said. 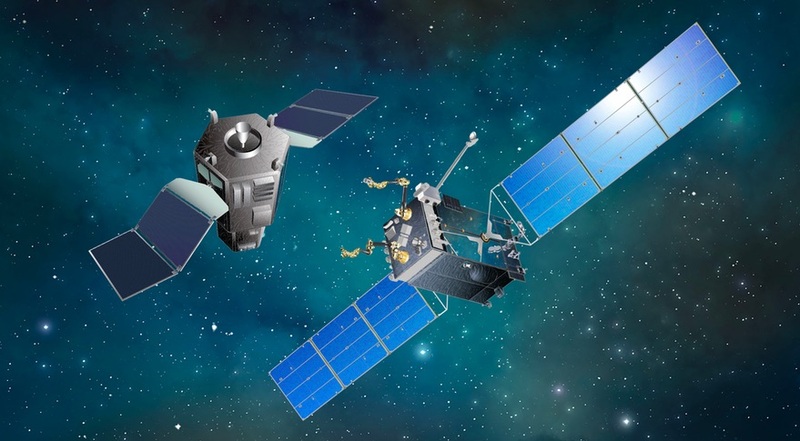 DARPA and SSL moved ahead with the project despite a lawsuit filed by Orbital ATK against DARPA Feb. 7, a day after DARPA inadvertently, and briefly, posted the award to SSL. In the suit, Orbital ATK alleged that the RSGS contract would “waste hundreds of millions of U.S. taxpayer dollars to develop robotic satellite servicing technology” already being developed in the private sector, running afoul of national space policy. Orbital ATK, which bid on the RSGS program, is developing its own satellite servicing system called the Mission Extension Vehicle. Orbital ATK also argued that the contract funded a foreign company, as SSL is owned by MacDonald , Dettwiler and Associates Ltd., a Canadian company. In an April 11 motion filed with the U.S. District Court for the Eastern District of Virginia, Assistant United States Attorney Antonia Konkoly, representing DARPA in the suit, requested that the court dismiss the case for a lack of subject matter jurisdiction and a lack of claims. In the motion, Konkoly argued that the provisions of the national space policy are not enforceable in the courts. “However, as the [national space policy] derives from neither a statutory mandate nor a congressional delegation of lawmaking authority to the executive, this directive is simply a ‘managerial tool’ for the executive branch, and does not create a legal framework enforceable by the judiciary,” the filing states. A hearing on the motion is scheduled for May 5 in federal court in Alexandria, Virginia. The motion does not address Orbital ATK’s concerns about SSL’s ownership, but Oldham said in an earlier interview that all the work on the RSGS program will be done at SSL’s facilities in California. “The activity, we’ve committed to DARPA, will be part of a U.S.-owned company,” he said. MDA announced in 2016 the formation of a U.S. operating company, SSL MDA Holdings, to allow it to pursue U.S. government work. That holding company will eventually also include DigitalGlobe, the commercial remote sensing company MDA announced Feb. 24 is was acquiring. SSL separately announced April 12 three new members of the executive team for its SSL Government Systems business unit, intended to win business with the U.S. government. Richard White, hired by SSL in October 2016 as senior vice president of government systems, was named president of SSL Government Systems. The company also hired Robert Zitz as senior vice president and chief strategy officer and Tim Gillespie as vice president of business development for national programs. Orbital ATK’s lawsuit against DARPA is separate from one SSL filed against Orbital ATK March 23. In that suit, SSL alleges Orbital ATK damaged the company when one of its employees accessed proprietary information on a NASA server regarding a satellite servicing technology project SSL had with the agency. Orbital ATK, while acknowledging that the data breach took place, said it followed best practices to address the problem and would “vigorously” defend the suit. Court records show no action on the case since SSL filed the lawsuit.